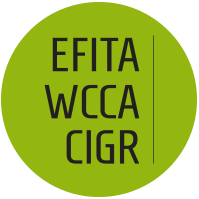 EFITA2013 is a joint conference of three associations, EFITA, WCCA and CIGR VII sponsored event. All these associations deal with the future use of ICT in the agri-food sector, bioresource and biomass sector. This year the conference will be held in Turin, from June 24 to June 26. Authors are invited to send their abstract through the on-line platform prior to February 15, 2013. The abstracts should not exceed 500 words. An abstract is indicative of the final paper quality, and therefore authors are urged to prepare concise, clear and informative abstracts describing their work with emphasis on objectives and results. Accepted abstracts will be published in a book that will be included with the rest of documentation for registered participants, so special attention should be paid to its presentation. Based on the abstract, the Scientific Committee will decide on the acceptance of the papers as oral or poster presentation. Selection criteria for paper acceptance will include full compliance with submission deadlines and procedures, relevance to conference topics, quality of the abstract, perceived completeness of the reported work, originality, and the number of proposals submitted. Selected authors shall send their full papers (maximum 8 pages including figures, tables and references) by May 15, 2013. Proposals must be submitted electronically following the procedure outlined at http://www.efita2013.org To submit the full paper authors must be registered and have the registration validated.